What are the most popular car colours? What sort of impression do different colours have on us? And what layers actually form the bodywork’s colour coating? Let’s take a look. Colours are essential to our lives, heling us to recognise people and objects, while also fundamentally affecting how we think and how happy we are. What would life be like in a colourless world? Well, black-and-white. Surely, though, black and white are also colours? 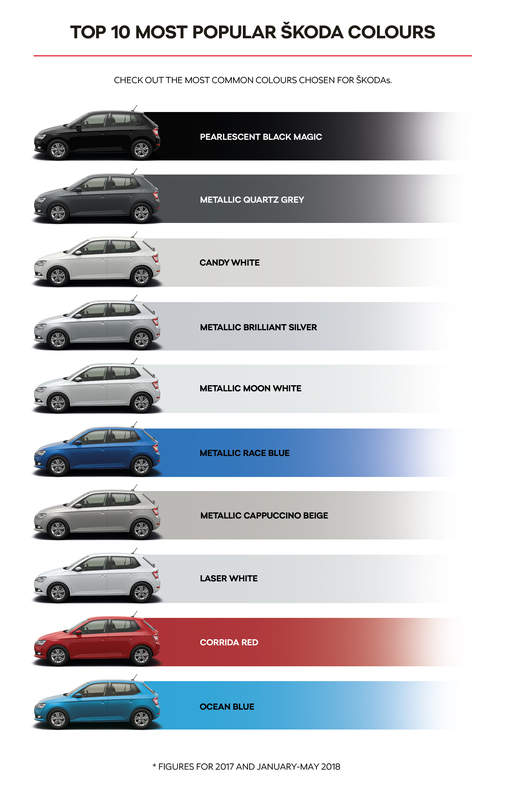 In fact, these are the colours most requested by car owners. The five most prevalent colours from the ŠKODA palette are: pearl-effect Black Magic, Quartz metallic grey, White Candy, Brilliant metallic silver and Moon metallic white. It’s not until we get to sixth place that we encounter our first “colour”: Race metallic blue. 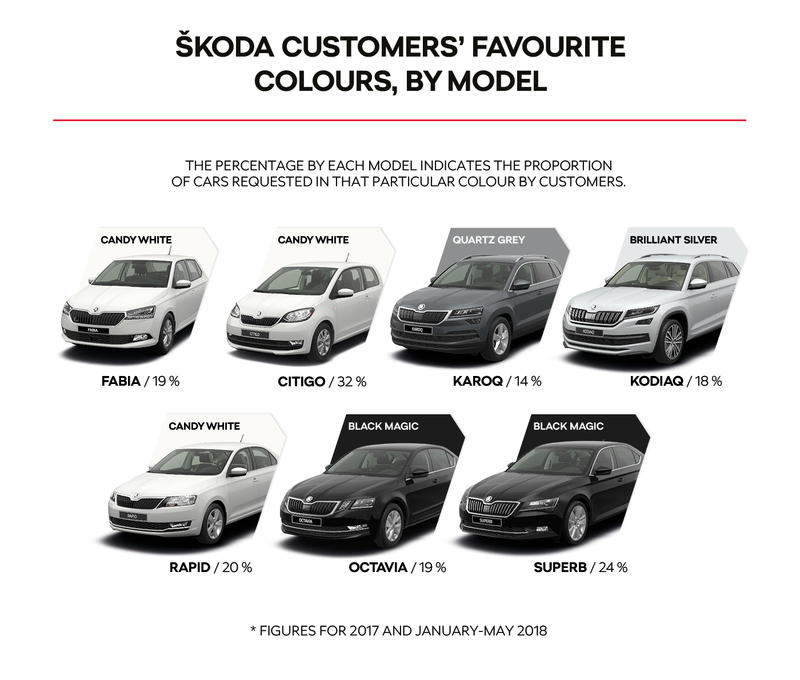 This held true throughout 2017 and in the first half of 2018, despite the fact that few other carmakers offer the same broad range of colours as ŠKODA. There are 15 standard colours, rising to 67 when we count all of the options available with the various models. 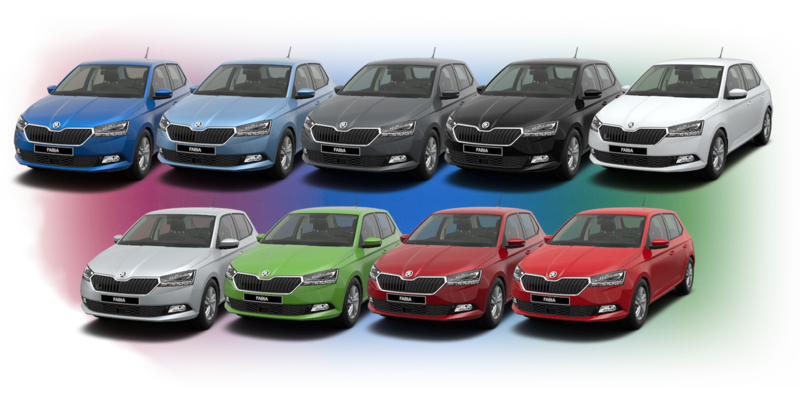 The ŠKODA SUPERB alone can be purchased in any of 60 shades. Is this an unnecessary indulgence? Hardly. Colours have more of an effect on us than we might think. And, obviously, when it comes to cars, different colours help us to distinguish one from another. Want a unique car, the sort that’s made only once a year? Then pick out something like Lilac, or perhaps one of the greens – Mint or Malachite – from the ŠKODA range. In 2017, each of these tones was chosen by a single customer, and each was for a different model. The ŠKODA OCTAVIA’s pink option proved more popular, the colour of choice for two owners. It is common knowledge that women have more of a feel for colours. This is backed up by Professor František Vyskočil, a neurophysiologist from the Institute of Physiology at the Academy of Sciences. “Women’s spectrums overlap better and they are able to describe colours in the finest of detail. This is probably because, ever since prehistoric times, they have had to decide which food is ready to eat, which is not yet ripe, and whether particular foods can even be eaten at all,” he explains. Women also have better peripheral vision, whereas men have a better sense of distance and perspective. The impact of colours on the psyche was being debated as far back as the ancient Greeks. In the fifth century BC, the Greek physician Hippocrates, the man behind the division of temperaments into the sanguine, phlegmatic, choleric and melancholic, attributed different colours to different natures. Even today, a colour spectrum is used in psychology for personality tests based on the shades that different people prefer. Pessimists – and more frequently men – are inclined towards darker colours, while women and optimists prefer lighter hues. Colours are not only mood changers. They also affect the way we perceive temperature. According to one survey, people sitting in a very hot car did not lower the air-conditioning temperature so much when the interior was in the “cold” colours of violet, blue or green. Faced with yellow or red accessories, participants had a much more acute awareness of the heat. This is good news for owners of ŠKODA OCTAVIAs and ŠKODA KAROQs: depending on the trim level, they can change the ambient lighting to any of ten different shades: cold colours in the summer, warmer colours in the winter, and red or orange to keep fatigue at bay. 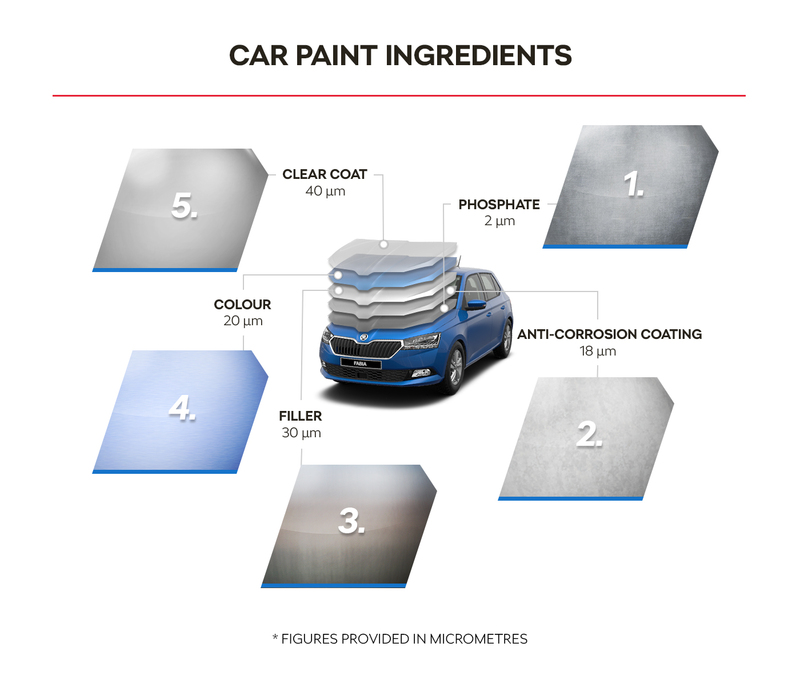 ŠKODA’s paints are supplied by various contractors and are delivered in large-capacity stainless steel containers. Specialists run checks on the entire batch and on each container separately to ensure the finest quality. This year, the Kvasiny plant introduced new painting technology that is more precise and more economical. “Instead of compressed air, the paint is applied by means of electrostatics. In other words, it is electrically charged in the robot head so that the paint clings to the bodywork better. This improves adhesion and avoids overspray, when some material ends up away from the bodywork. Consequently, we can guarantee high quality and save up to a kilo of paint,” says Mizera as he describes the process. Over 14 kilograms of coating material are needed for an OCTAVIA. Of that, the paint accounts for a little over three kilos. As a result, the new technology makes major savings. As a point of interest, once PVC and wax are factored in, a car is “weighed down” by almost thirty kilograms of protective components when it leaves the paint shop. Paintwork is checked on each vehicle by specially trained experts. The Mladá Boleslav plant is now trialling a 36-camera scanner to monitor the body surface with light beams. 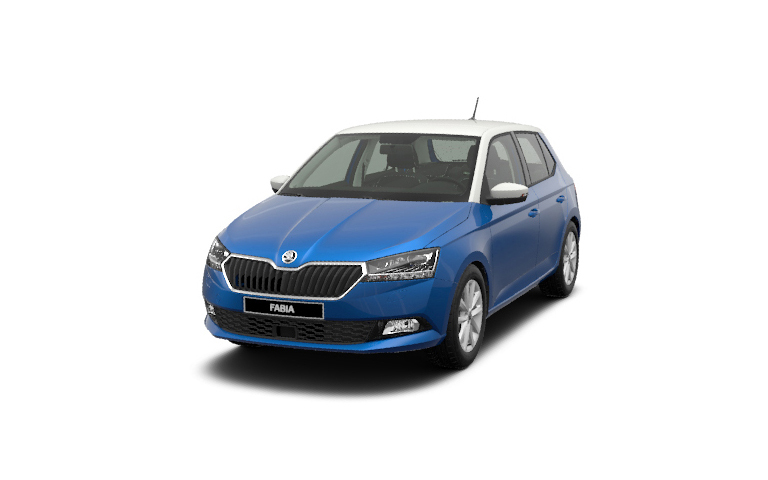 so the FABIA is exceptional for its category. ŠKODA has the fastest line for the application of the top filler coat anywhere in the VW Group: the whole body can be coated in 37 seconds. Thanks to modern technology, the Mladá Boleslav plant can paint 2,200 bodies a day, while Kvasiny handles almost 1,000. Once PVC and wax are factored in, a car is “weighed down” by almost thirty kilograms of protective components when it leaves the paint shop. 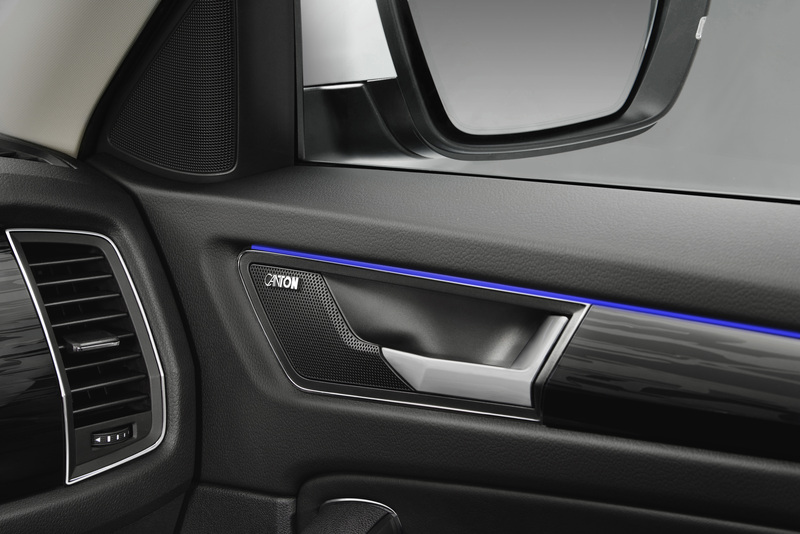 Owners of ŠKODAs with adjustable ambient lighting can select the colour of the interior light strips as required: cold tones for hot weather, warmer colours in winter, and red or orange when they need to concentrate more. Adjustable-shade ambient lighting makes for a unique interior atmosphere when it is dark outside. 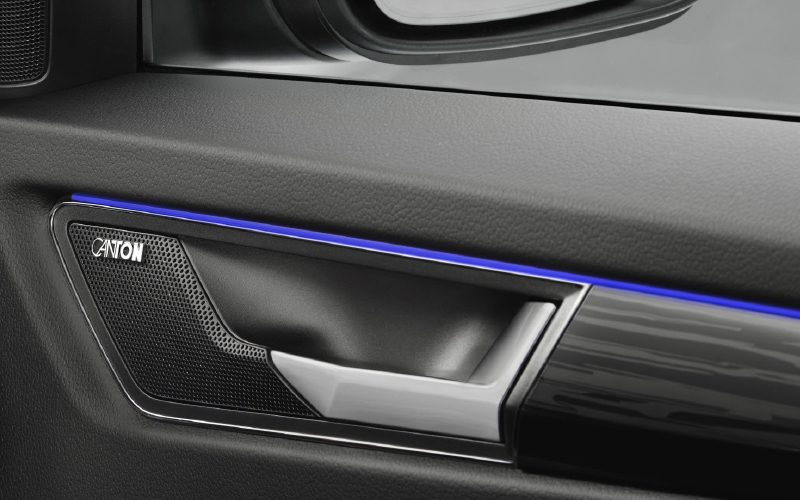 This lighting, integrated into the door panel trim, offers ten different colours. Besides the biological way in which we view colours, there are also cultural customs to take into account. In Europe, we take it for granted that brides will be in white, as a colour of purity and innocence. Chinese newlyweds, on the other hand, prefer red dresses as, for them, red denotes fire, fortune and joy. Surveys show that it is no accident that athletes also opt for red. In 2011, scientists at Oxford University published a study explaining that athletes dressed in red are statistically more successful. Their colleagues in Chichester observed that a football goalkeeper kitted out in red is more likely to save penalties. According to the authors, red is associated with danger or dominance, so those taking the penalty kick follow the goalkeeper more and kick the ball in his direction more often. These types of statistics are not kept for traffic accidents, but it is safe to say that boldly coloured vehicles are more visible even in poorer lighting conditions.